The possibility of vision impairment increases with age. As of 2016, approximately 7.3 million Americans over 65 reported significant vision loss. In addition to aging, eye problems can arise as a result of a number of other factors including overuse and a bad diet. However, by maintaining good eye care at an early age, you can increase the longevity of your eyesight. Good eye health is pretty easy to achieve. You simply need to incorporate some habits into your regular routine. Let’s go over some ways you can keep your eyes in great condition. Most people don’t associate diet with eye health. However, the foods you eat affect just about every component of your body, including your eyes. Certain nutrients such as omega-3 fatty acids, zinc, and vitamin C can help prevent issues with your eyesight such as cataracts and macular degeneration. In addition, your eyes benefit from antioxidants, which you can get from a large number of foods. Salmon, walnuts, flaxseed, and soybeans all contain high levels of omega-3. You should also try to get plenty of non-meat proteins such as eggs, beans, and nuts. Make sure you incorporate leafy greens such as kale and spinach into your diet. Citrus fruits are also a great source of vitamins and antioxidants. A well-balanced diet reduces the risk of high blood pressure, which can put added strain on your eyes. You’ll also feel better and enjoy a more vigorous lifestyle. An eye injury can cause temporary or permanent damage to your eyesight. In addition to protecting yourself from injury, you also need to take preventative measures against UV rays and blue light. Make it a point to wear eye protection when playing contact sports or doing work that involves a high risk of eye injury. It’s also important to wear goggles when swimming for extended periods. UV rays from the sun can potentially cause tissue damage and other conditions such as macular degeneration. To avoid this, wear sunglasses that block both UVB and UVA rays. Sunglasses can also help protect your eyes from other irritants. According to research from perfect lens, dust and pollen are two common materials that cause irritation. Finally, it’s important to limit the amount of time you spend in front of the computer. Monitors, tablets, and even smartphones emit blue light, which is similar to UV rays. It’s common knowledge that smoking carries a large number of serious health risks. However, many people don’t realize it can damage your eye health. That’s right, smoking cigarettes can potentially damage your optic nerve and lead to cataracts and macular degeneration. It can also cause minor, but still irritating, conditions such as dry eye. If you’ve been a smoker for years, think about giving it up. Aside from feeling better and having more energy, you’ll also increase the longevity of your eyesight. If you’ve tried to quit, but can’t seem to give cigarettes up for good, see your doctor. There are a number of things out there that can help, including medication and therapy. One of the best ways to maintain healthy eyes is to visit your optometrist on a regular basis. Even if you don’t have a vision impairment, you still need to have an eye exam every two years. If you wear glasses or contact lenses, an annual exam is necessary. An eye exam will determine if your prescription has changed over the last year. Wearing the wrong prescription is damaging to your eyesight, which is why an annual checkup is so critical. An ophthalmologist or optometrist will also look for signs of more severe conditions or diseases. Early detection and treatment can prevent you from having serious issues down the road. Technology has increased the speed and accuracy of detection and treatment. Doctors can easily determine if you’re farsighted, nearsighted, or have other debilitating issues. If you notice irritation or changes such as increased squinting, it’s important to see a doctor right away. Ignoring the problem could lead to poor eye health in the future. If you wear contact lenses, it’s important you practice proper care techniques. Failing to do so can lead to injury or infection. Make sure you wash your hands each time you handle your contacts. It’s also important to use fresh solution every night before bed. This is something many work at home bloggers struggle with, as they are often on the computer all day and forget to continually switch to new contacts, or even give their eyes and break and switch over to glasses for a few hours. You should also avoid using tap water to clean your contacts and replace your storage case every two or three months. All these precautions help reduce the chance of microorganisms getting on your contacts. Throw away your contacts as recommended and switch to a new pair. Even if it seems like your contacts are fine for another month of use, you increase the risk of infection if you keep wearing them. It’s also important not to sleep in your contacts. This can result in inflammation and corneal cysts. Age-related eye conditions are relatively common. However, there could also be a genetic link. Knowing whether certain eye problems run in your family can help with early detection. These conditions could include everything from glaucoma to cataracts to diabetic retinopathy. If you discover a certain condition runs in your family, make sure you let your doctor know. They can start checking for early warning signs. This will increase the chance of early treatment before the condition progresses. Your eyes are delicate organs and serve a very important purpose. That’s why it’s critical you take measures to ensure they remain in good shape. 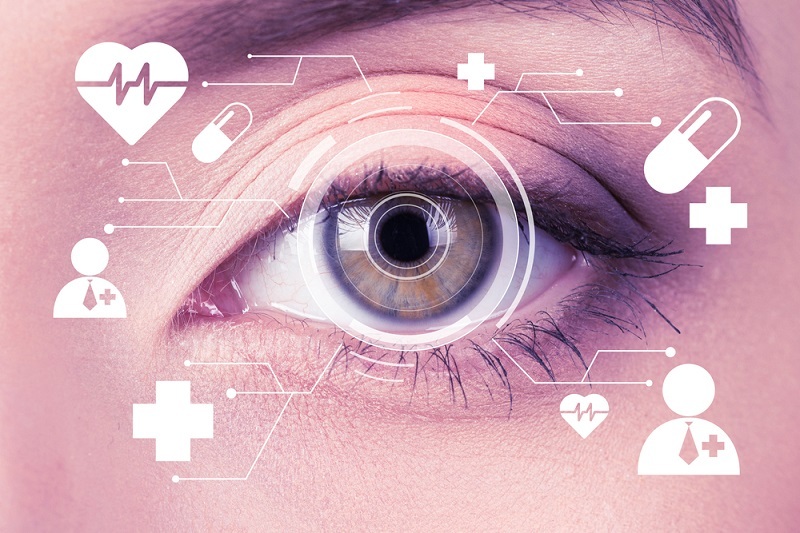 By practicing good eye care techniques, you’ll increase the longevity of your eyesight and enjoy good eye health into old age. Integrate the tips discussed above into your daily routine.